The Government will ensure that all Fijians are given equal opportunities including those in informal settlements. Minister for Local Government, Housing, Community Development, Infrastructure and Transport Parveen Bala made the comment yesterday at the commissioning of the $74,000 City-Wide Sanitation Project at the Vunato and Kaleli settlements in Lautoka. There are 10 restrooms with bathing facilities available. Mr Bala said: “This project is part of FijiFirst Government vision of improving living standards and lifestyles of ordinary citizens. 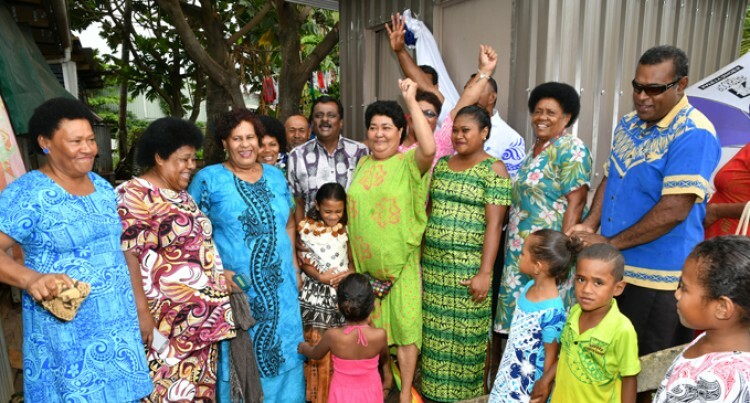 “The FijiFirst Government ensures that all Fijians are given equal opportunities and we have extended to include all Fijians including those in informal settlements. “This project clearly is a testament to the FijiFirst Government’s commitment to serve and care for all Fijians irrespective of who you are, where you stay or what you do. “The City-Wide project is an initiative of the FijiFirst Government to upgrade living standards of ordinary Fijians. He said $9 million was allocated for informal settlements to improve the resilience against the threats of climate change and the rise in sea level. Meanwhile, Mr Bala reiterated to the residents the prospects of relocating to formal settlements. “I came here and I discussed this with some of you whether you want to be relocated from here or no, the answer that was given to me was ‘we are all good here’,” he said. “But I want to sound that again, the day when you are ready mentally and physically please let us know, your government is ready to relocate you people because I know the area that you people are residing on is near a dump site, there are a lot of issues when there’s smoke. “I know for myself that we have done all that we could to relocate you to a better place but it’s you, who have decided for now to stay here. “But the door is open, the day you decide, the day you people collectively make up your mind that you want to be relocated, we are there, and we will do that.